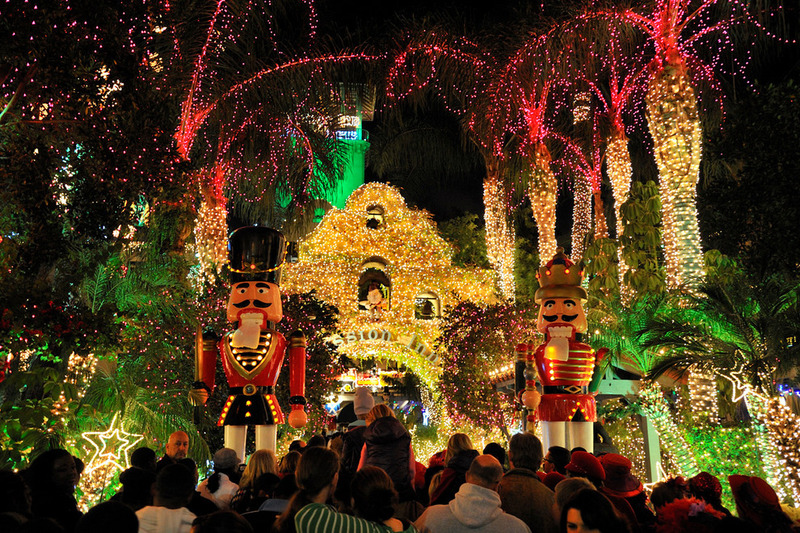 Famous Holiday Light Displays Across The U.S.
Public holiday light displays are a tradition in all cities across the U.S. 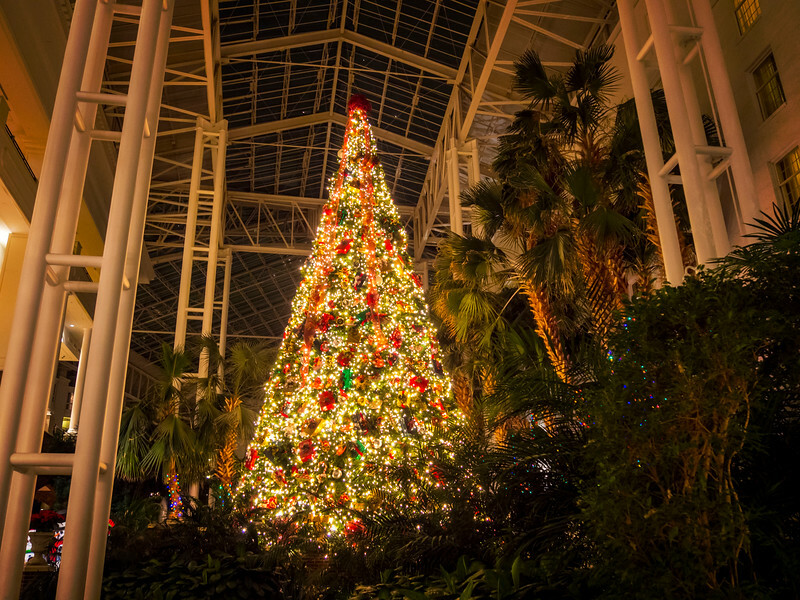 While there are numerous stunning displays splashed across our country, nothing quite compares to the holiday light display at Gaylord’s Opryland Hotel in Nashville, TN. 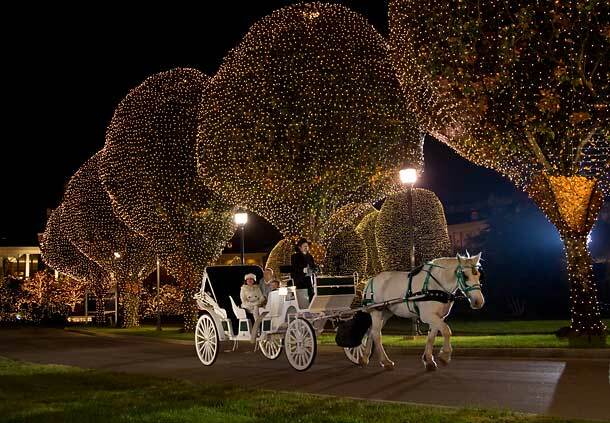 Many residents of the “Music City” tour the hotel each year to kick off the holiday season and the more than 1 million visitors from all around the world are delighted by the spectacular, but elegant display of lights. 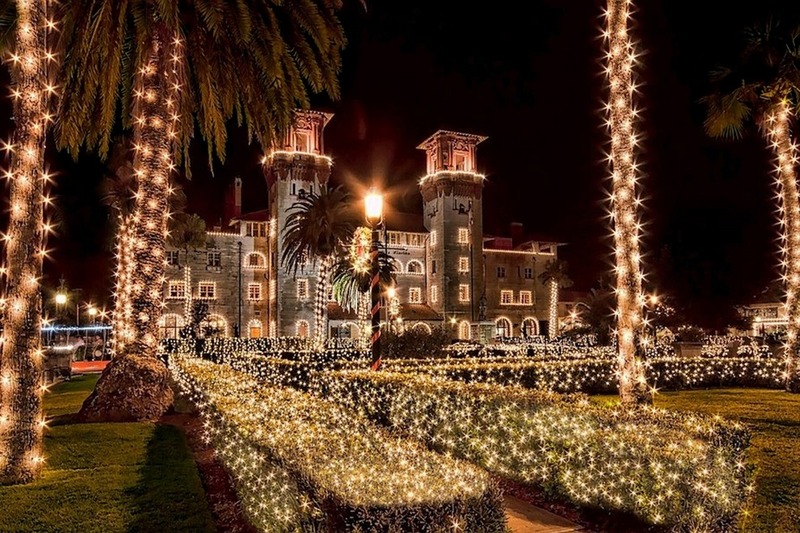 The outside entrance to the hotel’s 172 acres are lined with trees lit by thousands of white lights, poinsettia themed lights line the roadways, and a life-size nativity scene graces the lawn of the original hotel entrance. 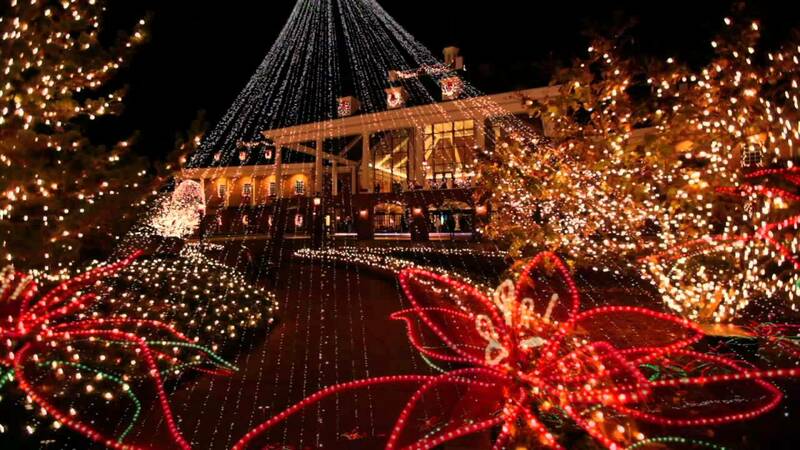 But, that’s nothing compared to the inside light display of this enormous resort. 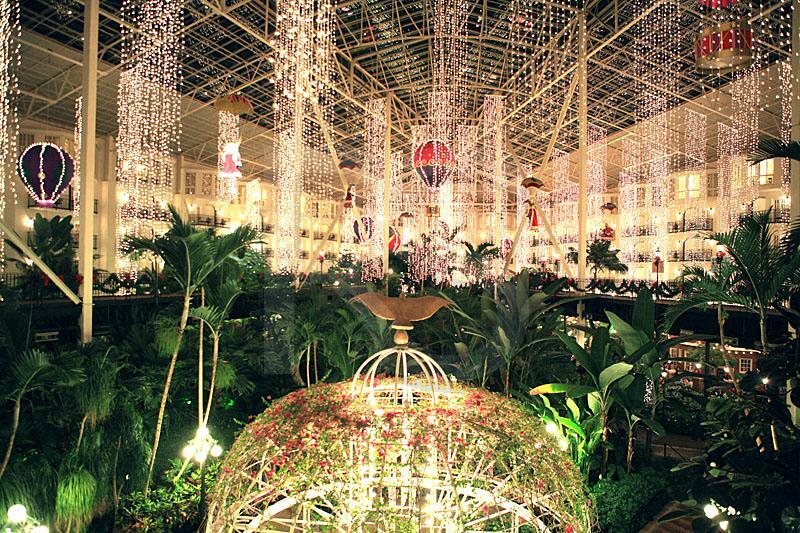 Opryland Hotel is the largest non-casino hotel in the U.S. and every square inch of this sprawling property is decorated for the season. 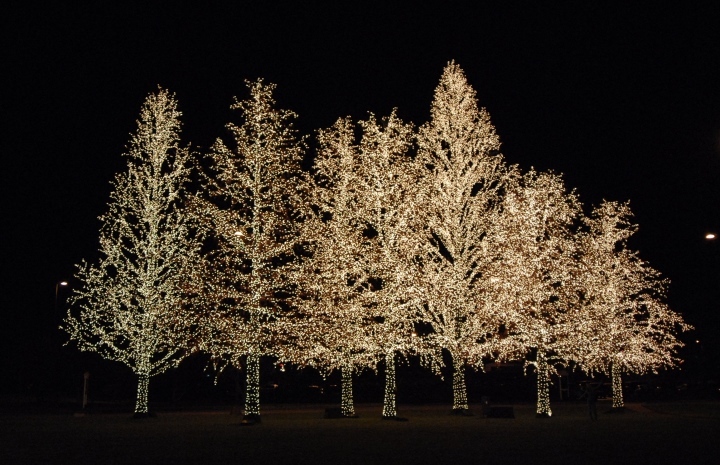 2 million exterior LED lights – If placed end to end, the strands of lights would stretch 189 miles, from Nashville to Knoxville respectively. 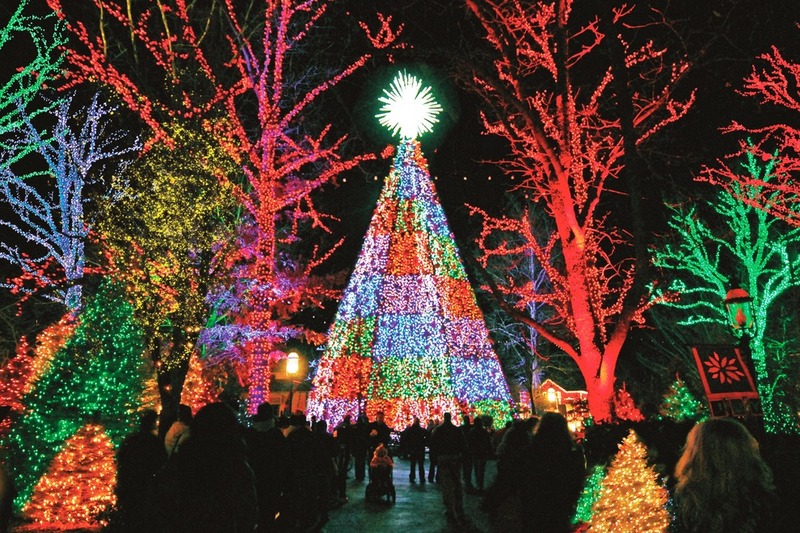 200,000 thousand indoor lights and life-size ornaments hung from the ceilings. 15,000 poinsettia plants are placed around the hotel, including the famous Poinsettia Tree in the original lobby. 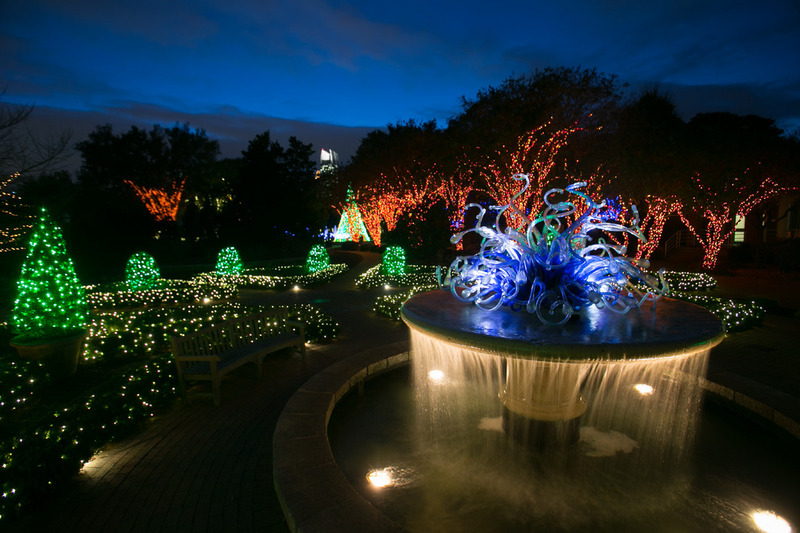 15 miles of green garland adorn the landscape of the atriums. 10 miles of hand-tied, red ribbon are placed throughout the hotel. The conference area holds the largest of the hotel’s trees, standing at 48 feet tall. 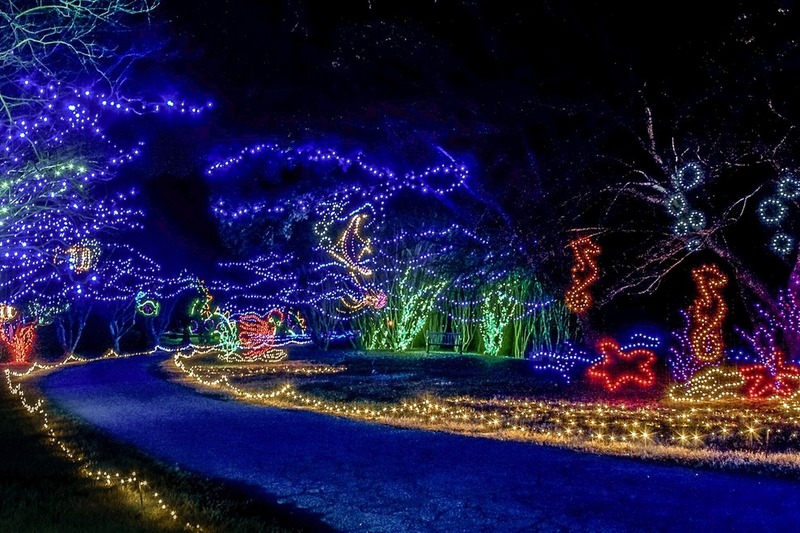 Other Famous Holiday Light Displays Across The U.S.